The British Ambassador to Bosnia and Herzegovina, H.E. 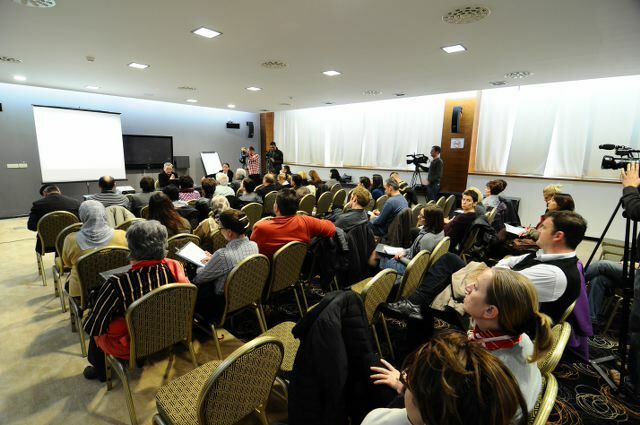 Michael Tatham opened a session of the Advisory Board of the Missing Persons Institute of Bosnia and Herzegovina (MPI BiH) by launching an ICMP Guide for Families of the Missing. Following this, Ambassador Tatham visited the International Commission on Missing Persons (ICMP) facilities and met with ICMP’s forensic experts in Tuzla. 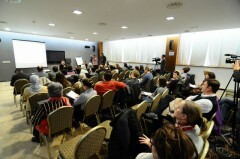 The International Commission on Missing Persons (ICMP) concluded yesterday in Banja Luka a series of 18 public presentations held throughout Bosnia and Herzegovina. During these events, ICMP staff in cooperation with staff of the BiH Missing Persons Institute provided an overview of the process of exhumations and identifications in Bosnia and Herzegovina, including the role of all institutions and individuals involved in this complex process.